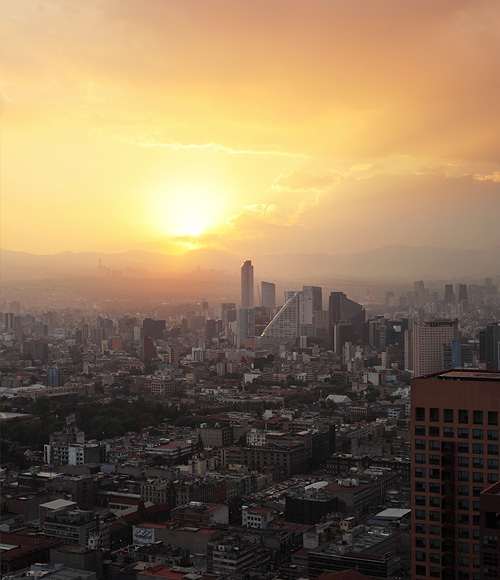 Mexico City sunsets are so bladeruner-ish. I took this picture from top of the Torre Latinoamericana. The pollution makes for such dramatic sunsets - bright and dark are all sort of equaled out and colors blaze. This image looks as if it was heavily photoshoped- it wasn't at all- it's just the pollution.